Jimmy Ruffin knew about motor cars. "In 1962, my uncle got me a job at Ford Motors, and I stayed on the assembly line right up to 1965," he recalled years later. "Sometimes I had to take a leave of absence to play theatres like the Apollo in New York, and to do tours with the Motortown Revue with artists who at that time hadn't made it either." There are two Ruffins forever associated with Motown, of course: Jimmy as the solo star, and his younger brother David as the dynamic, honey-and-sandpaper voice of the Temptations. In Mark Ribowsky's Ain't Too Proud To Beg, an account of the group's life and times, Otis Williams remembers the elder sibling with ambitions to be in their line-up: "I had to let him down easy," said Otis, "I told him, 'Jimmy, love to have you, but you can't dance, you got flat fleet,' which was true. And he said, 'Yeah, Otis, you're right'." Dancin' fool or not, Jimmy Ruffin waxed early for Motown, with a 1961 single, 'Don't Feel Sorry For Me,' on the company's Miracle label. "Mary Wells suggested I go down to Motown and audition," he once recalled to journalist David Cole, "and I went down and first I sang for Ronnie White [of the Miracles]. He said, 'You're David's brother, aren't you?' I said, 'Yes,' and he got Ray to listen to me and then she got Berry to listen to me. This all happened within about thirty minutes, and Berry said, 'Sign him up and record anything he writes'." "Ray" was Gordy's second wife, Raynoma Liles, who produced Jimmy's Miracle single, which can today be found on The Complete Motown Singles Vol. 1: 1959-1961. Ruffin penned both sides of that debut, but 'What Becomes Of The Brokenhearted' was not only written by others, but also intended for a different Motown act entirely. "I heard it being rehearsed," said Ruffin, "and said I wanted it." One of its writers, James Dean, claimed the tune was already earmarked for the Spinners. "I said, 'I can't think of nobody at this company that can do that song except myself.' This was brazen, [but] after the way I said it, he said, 'Let me hear you sing it'." Written by Dean, William Weatherspoon and Paul Riser, and produced by Weatherspoon and Motown A&R chief William "Mickey" Stevenson, 'What Becomes Of The Brokenhearted' had a working title of 'Crying In The Night,' and a backing track recorded on August 3, 1965. 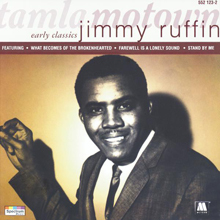 Jimmy Ruffin's vocal was added three months later, and his heart-stopping take was released as a single in June 1966. What adds to its mystique is that the song originally featured a dramatic spoken introduction by Ruffin, edited out for the commercial release. 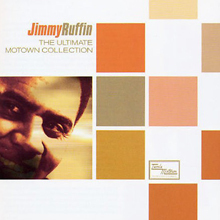 The uncut version finally surfaced on Jimmy Ruffin: The Ultimate Motown Collection in 2003, together with Ruffin's rendering in Italian ('Se Decidi Cosi') intended to broaden the Motown sound's appeal on the European continent in the 1960s. 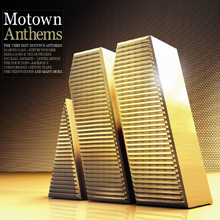 'What Becomes Of The Brokenhearted' was also recorded by the Isley Brothers with a completely different title ('Smile') and lyric, contained in Motown Sings Motown Treasures, a 2005 package of rare, alternate versions of classic Detroit hits. The same set offers an interpretation of the song by the Contours. How Jimmy Ruffin sings 'Brokenhearted' is unimpeachable, and largely responsible for its longevity, but it's little wonder that ace arranger Paul Riser shared in the composing credit. This classically-trained musician was responsible for the widescreen melancholy which permeates many a great Motown recording, underpinned by the strings of the Detroit Symphony Orchestra. Riser was, simply, the company's secret weapon. In 1970, the logic of a duet album with sibling David prevailed. Cut in Detroit and released by Motown that October, I Am My Brother's Keeper was a remarkable set, coupling original songs with covers of work by Ben E. King, the Delfonics and James Taylor. When it was reissued in 2010, Jimmy told liner notes writer Stu Hackel, "David and I would listen to this album and he'd say, 'Who was that?' It was hard to tell if it was him singing or I singing. Then he'd laugh and say, 'Oh, that's me, yeah'." I Am My Brother's Keeper also featured the pair on 'He Ain't Heavy, He's My Brother,' originally a hit for the Hollies. Jimmy Ruffin had his own fraternal relationships in Britain, where fans helped him to enjoy a long, profitable career after he relocated to London in the 1970s. Polydor Records UK, for instance, returned Jimmy to the charts in '74 with 'Tell Me What You Want.' It was accompanied by an album, Love Is All We Need, which showcased seven of Ruffin's own compositions. And it was a chance meeting in a London hotel lobby which led to his friendship with Robin Gibb. The two collaborated on the hit, 'Hold On To My Love,' and an album, Sunrise; Robin and Barry Gibb sang background. Even in the 1980s and '90s, Britain continued to play a central role in Jimmy's life. He recorded with Paul Weller's Council Collective and with Heaven 17, while son Ray Ruffin secured a deal with Universal Music UK. "I remember walking with him to the stage on that first night," recalled Ray about witnessing his father perform, "and I could see all these girls screaming for him - for my father! Suddenly, I'm screaming, too: 'Put me in the band!' "
Dave Stewart and Colin Blunstone in 1981, a UK Top Twenty success. Boy George in 1988, and Ruby Turner the same year, with Ruffin as guest vocalist. Paul Young in 1991, a Top Thirty hit in America, and featured in the film Fried Green Tomatoes. Robson & Jerome, a UK No. 1 in 1996. Joe Cocker in 1998 and Vonda Sheppard the following year, she being the resident vocalist on the Ally McBeal TV series. Joan Osborne in 2002, a showstopping performance from the movie Standing In The Shadows Of Motown. Rod Stewart in 2009, Mitch Ryder in 2010. Whether or not Jimmy Ruffin remains in the shadow of his most famous song, it has given him a permanent place in the Motown legacy. As the lyric insists, nothing's going to stop him now, he'll find a way somehow! This album features tracks from 1964 to 1970 and is part of Universal Music’s Early Classics series. It features his well known early releases plus a few B-sides and previously unreleased gems. ‘Farewell Is A Lonely Sound’, ‘Since I’ve Lost You’ and I’ll Say Forever My Love’ are some of the more familiar tracks with great versions of Jimmy Webb’s ‘Honey Come Back’ and ‘Turn Back The Hands Of Time’ with elder brother David included on the album. This 1989 released Hits compilation from Jimmy Ruffin includes the cream of his work with the Motown label. It includes the iconic ‘What Becomes Of The Broken Hearted’,’I’ve Passed This Way Before’ and ‘Gonna Give Her All The Love I’ve Got’. 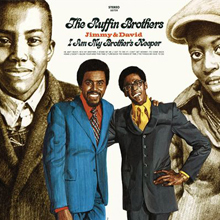 With neither Ruffin brother experiencing significant success in the wake of their non-simultaneous departure from the Temptations, Jimmy latched upon the idea of recording a duet album with the younger David -- partially as a way to pay tribute to their recently passed parents, partially as a way to jump-start their stalled careers. In regards to the latter, 1970’s I Am My Brother’s Keeper was no great shakes, barely scraping the pop charts and its lead single “Stand by Me” only reaching 24 on the R&B charts, but as a testament to the familial talents of the Ruffins, the LP succeeds, proving that these two great voices could enliven familiar tunes. It's a knack that’s needed here, for much of I Am My Brother’s Keeper consists of splashy, sequin-studded and polyester-draped covers of pop and R&B hits. Just under half of the album consists of versions of tunes by the Hollies, Ben E. King, the Delfonics and Tyrone Davis, with the rest of the record coming from in-house Motown writers and elsewhere, including the rousing Gloria Jones co-write “When My Love Hand Comes Down.” This is one of five Bobby Taylor productions on the LP, and he gives the Ruffins soulful, funky sounds that showcase them at their best, with Henry Cosby, Duke Browner, Frank Wilson and Al Kent responsible for the songs that edge a little closer to the pop charts. Combined, all the producers provide a sampler of Motown sounds at the dawn of the ‘70s -- sometimes things are deeply funky, sometimes things are slick enough for a televised variety revue -- but the Ruffins pull it all together, sounding comfortable in every setting, always commanding attention. Perhaps its underwhelming commercial performance is understandable -- there are no true knockouts here, just a bunch of strong soul -- but I Am My Brother’s Keeper is an album that seems stronger in retrospect, as it was the last time one of the great brother teams in soul sung together so joyfully. “You’re What I Need (Not What I Want)” -- produced by Bobby Taylor and co-written by Gloria Jones and Pamela Sawyer -- and a mix of “Stand by Me” that removes the fake live overdubs of the original. 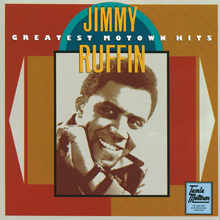 This 48 track 2CD collection forms a comprehensive collection of Jimmy Ruffin’s work for Motown. All his favourites from ‘I’ve Passed This Way Before’ and ‘What Becomes Of The Broken Hearted’ to Gonna Give You All The Love I’ve Got’ and ‘Farewell Is A Lonely Sound’ are here. His distinctive convincing vocals are particularly powerful on his versions of ‘Do You Feel The Way You Make Me Feel’ and ‘I Could Never Love Another (After You). 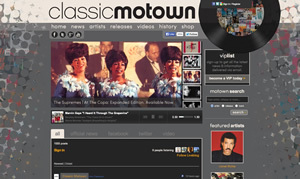 The essential & comprehensive Motown collection.